Abra-cat-dabra! Witchy kitty has been magically transformed, and you must figure out how to get her back! Pick a puzzle, and arrange her ears, head, body, and feet according to the card. 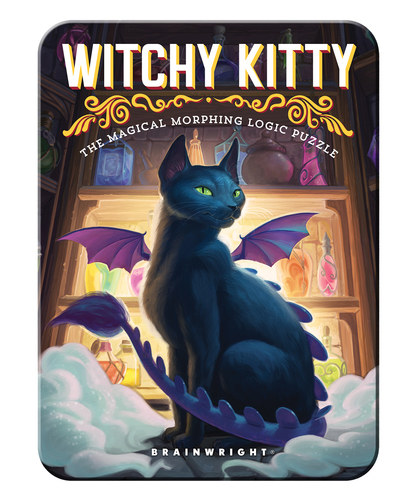 Then gather up the potions - and play them in the proper order - to flip kitty back to her feline self. Each elixir has a unique effect. Deducing which ones to use will take logic, focus, and a dash of hocus-pocus!